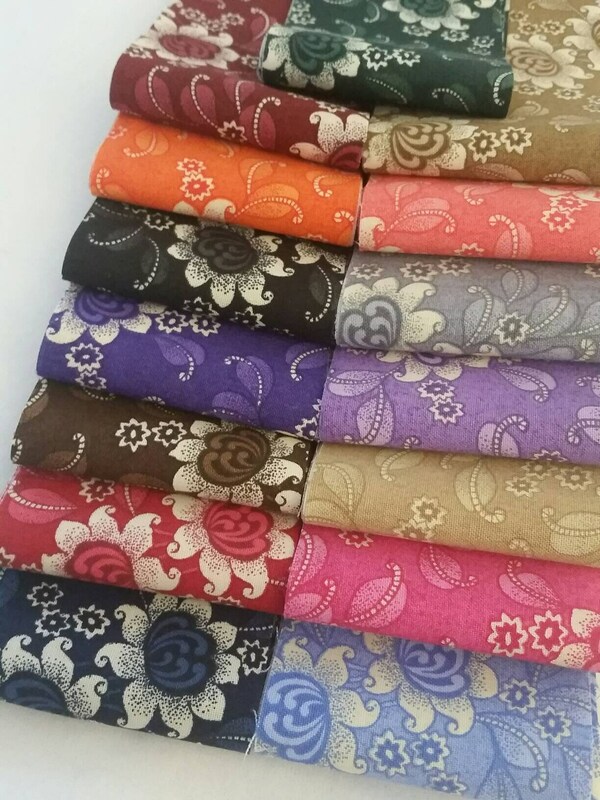 All fabrics in this great Jelly Roll Bundle Buddies of fifteen fabrics are 100% quilters cotton and are designed by MDG. They are from the Charms Floral collection. Each strip is 2-1/2" wide and approx. 44" long. Most of the colors represented in this grouping contain one light and one dark of the same color and all have the same pattern. I have included 3 of each for a total of 45 strips. 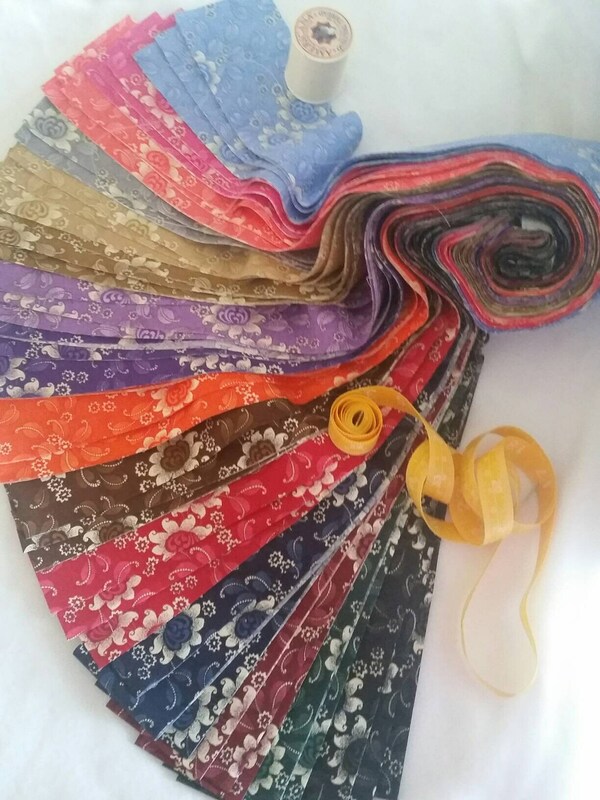 This grouping contains 3 yards of fabric. They are from my stash which is stored in my pet free, smoke free studio. These jelly rolls were precision razor cut to prevent "elbows" or waves. 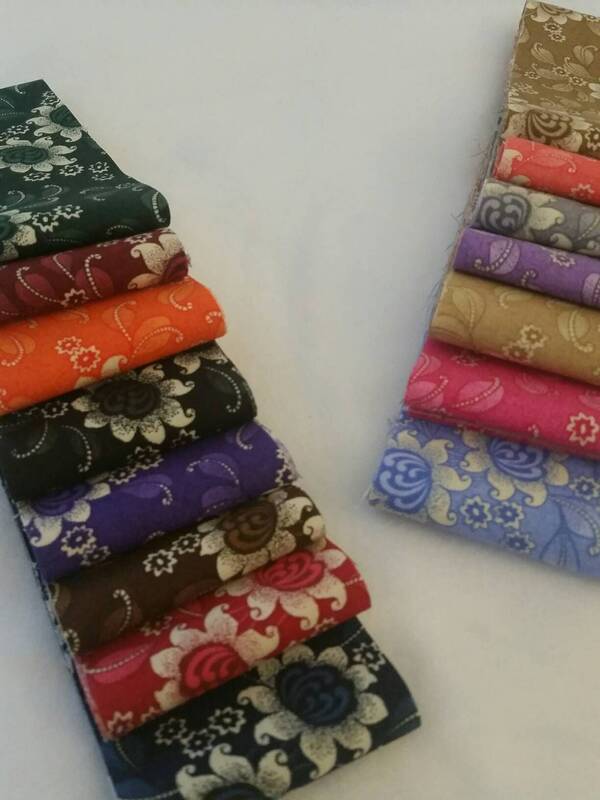 This pre-cut grouping would look great in any quilt and would speed your design and piecing process since they are all the same size, but would work especially well in a log cabin, rail fence, design since there is a light and dark of each color. 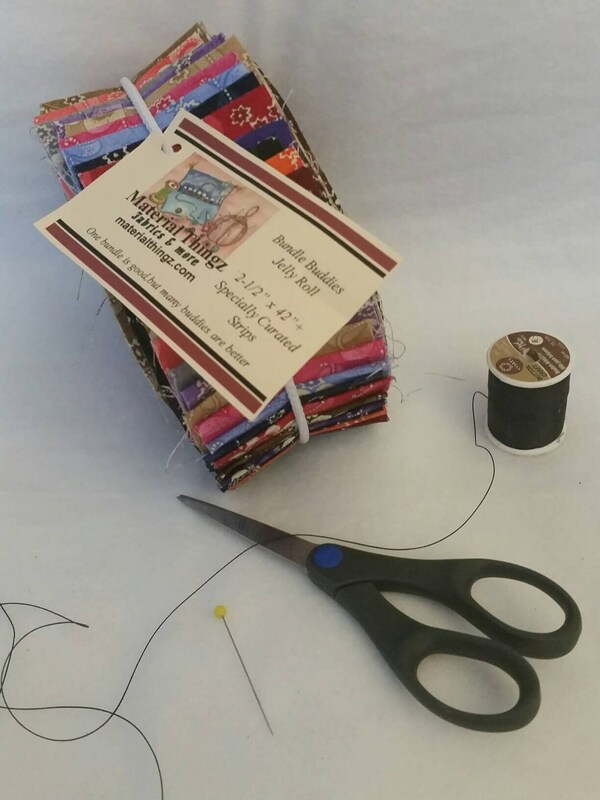 I hope they make you as happy as they make me as I look at them--my Bundle Buddies motto is "a few is good, many are better, so you may want to order two" or pair this jelly roll with one of our groupings such as the 2-1/2" charms! Most of these fabrics may be purchased by the yard. Message me for info.